When Abraham Khan releases an e-book condemning radical Islam, the consequences hit him fast and hard — an armed fanatic smashes into his home one evening, trying to kill him. He survives the harrowing attempt. Just barely. But will he survive the next one? Maya Raines is the security operator brought in to protect Abraham. She is tough and committed. The very best at what she does. Always one step ahead of the threat. But Abraham is no ordinary principal — he will not hide, and he will not stay silent. And as rage explodes on the streets and the nation is propelled to the brink, Maya will have to ask herself the hardest question of all: how far would you go to protect one man’s right to speak? When John Ling sent me this eBook I told him it would take a couple of weeks for me to read it. I had other books to finish and thrillers aren't my normal fodder. But I couldn't resist a peek at the opening chapter and ... a day later I was finished. And what a ride! Short, crisp chapters moved between characters and climactic events, winding the tension tighter and tighter, the story playing out like an A class action/thriller movie. Explosive, with a hell of a punch, is the only way to describe it. There has been a lot of research put into this work and it shows. 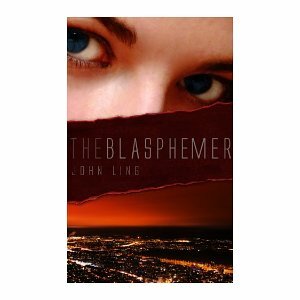 John Ling has presented a balanced approach to the clash between Islam and the West. Between the nail-biting scenes there is plenty to ponder. Not least is the notion that this kind of trouble could escalate onto the mainly peaceful shores of New Zealand. There's no doubt in my mind that we will be hearing a whole lot more from this talented author. Go here to get yourself a copy. Sounds like a great book. When you started describing it, I thought it was a true story. You're right, he'll be a popular writer. No prob, I'm just hanging out for the sequel now! Glad you enjoyed it, Sue. I hope the sequel comes out this year! I live in Dunedin, New Zealand with my husband two of my three children and one incredibly fluffy cat. I enjoy handcrafts, walking, anything Italian, and driving my RAV4 - the bumpier the road the better! At present I'm writing two historic novels: BLACKBIRD - set in 1880s Wyoming - which is the story that started me on this writing adventure and another novel set in Victorian Otago. I also write short stories, many of them based on a quirky or adventurous historic fact. Join me as I share about writing, reading and anything else life throws at me! Alison Stuart Requests the Pleasure of Your Company at her New Home! Inspiration. Where does it come from?